The iconic Notre Dame cathedral on the banks of the Seine in Paris was hit by a devastating fire on Monday afternoon, suffering catastrophic damage. The spire of the 1345 AD-completed structure collapsed in a blaze that has been linked to ongoing renovation work. Other famous parts, such as the famous twin towers on the front were also hit. There are no reports of any casualties at the time of publishing. 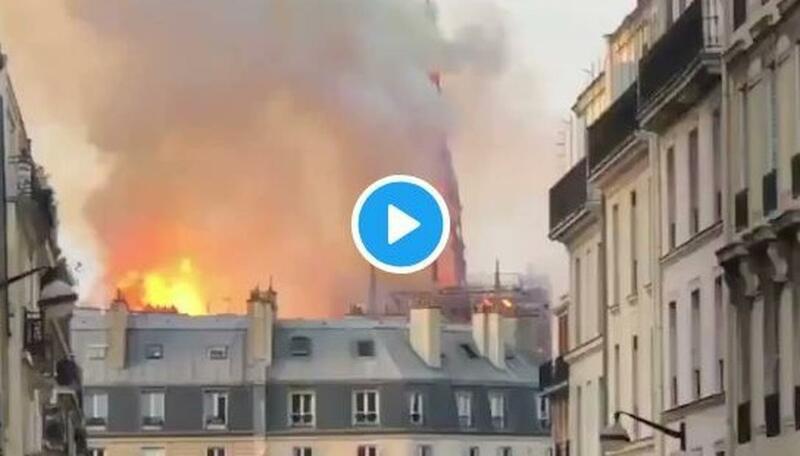 "Our Lady of Paris (Notre-Dame) is in flames. Emotion has gripped the whole nation. My thought for all Catholics and for all French. Like all our countrymen, I'm sad tonight to see this part of us burn."